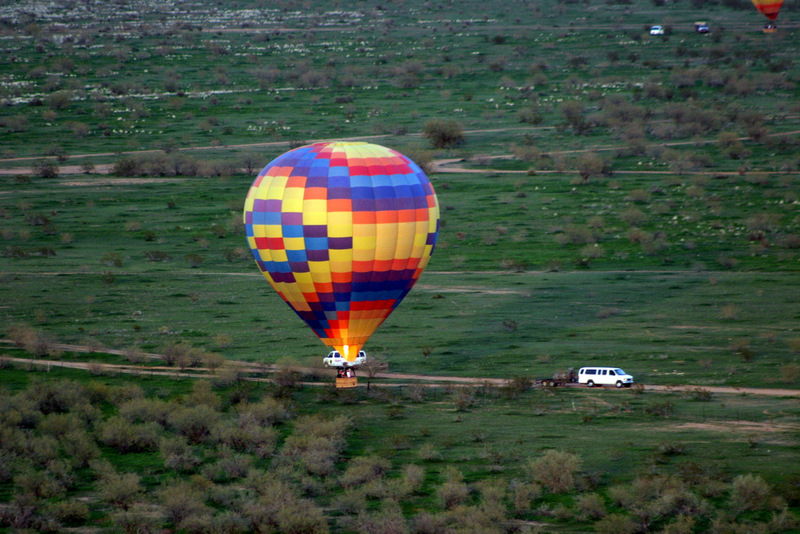 About 5 years ago my buddy called me up and said “hey, do you want to go on a balloon ride?” He had found a cool deal and since I had never been on one before, I said yes. The balloon ride was absolutely fantastic. I took so many cool photos on the trip, and also took this video (sorry for the poor quality). 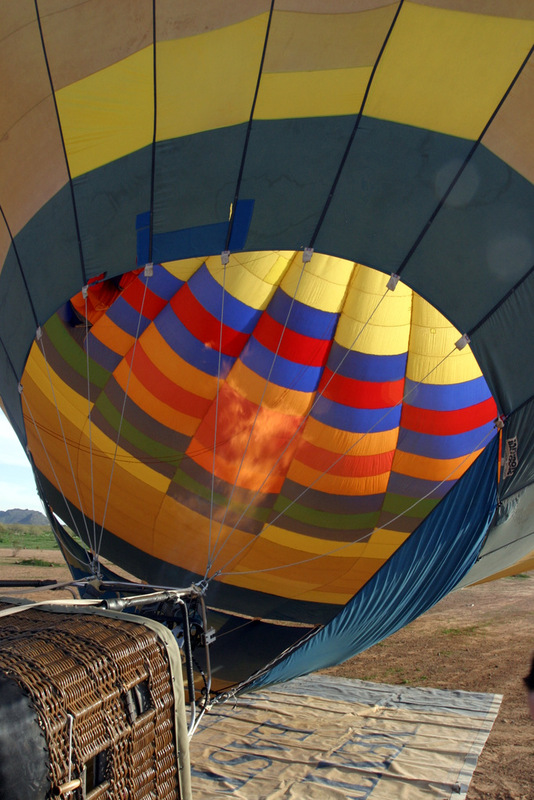 The company I chose is called The Hot Air Balloon Company, and they are based in North Phoenix and have daily hot air balloon rides (seasonal) with pickups at the Deer Valley Airport. The experience from start to finish was just a couple of hours. 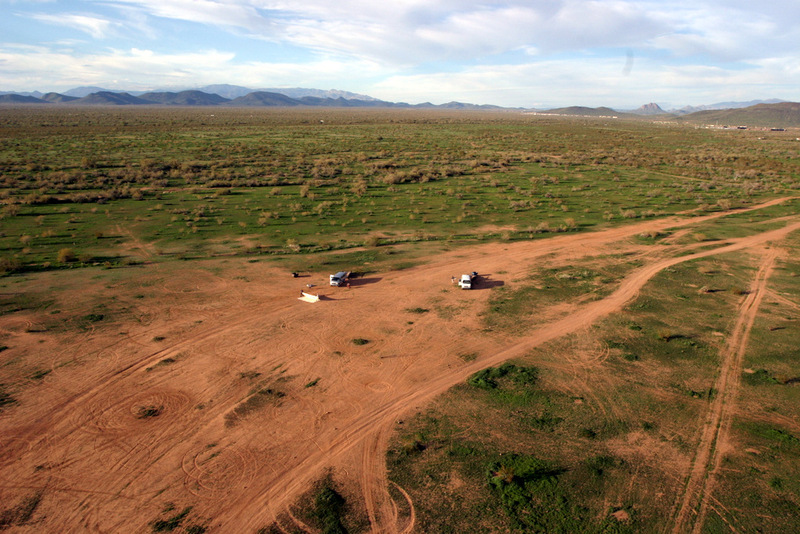 We rode in a 14 passenger van all the way over to Carefree Highway (just south of Lake Pleasant). If you’re curious about where we went, you can see a map of the approximate area. 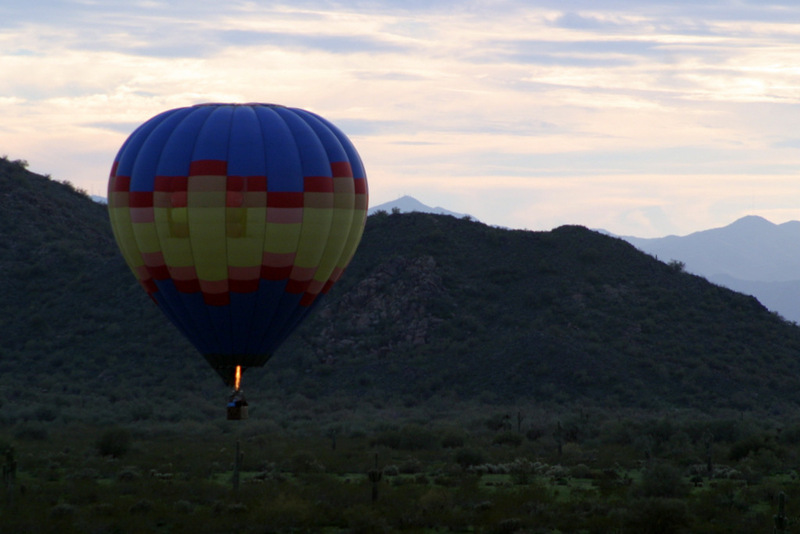 We launched the balloons from the south side of Carefree Highway in the desert. 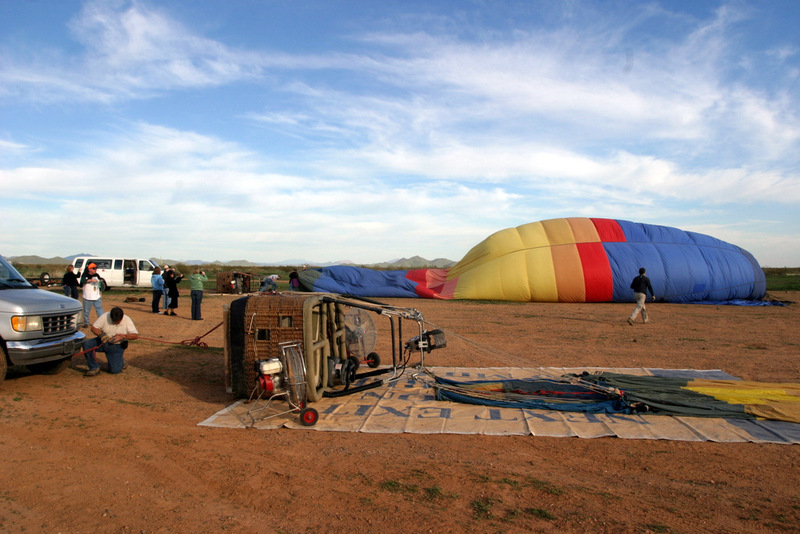 The balloonist and his/her crew do pretty much all of the work, but they do ask for help during the launch of the hot air balloon. I helped by holding on to some of the ropes. These guys are real professionals and do this at least two times a day in the winter (less in the summer, naturally). 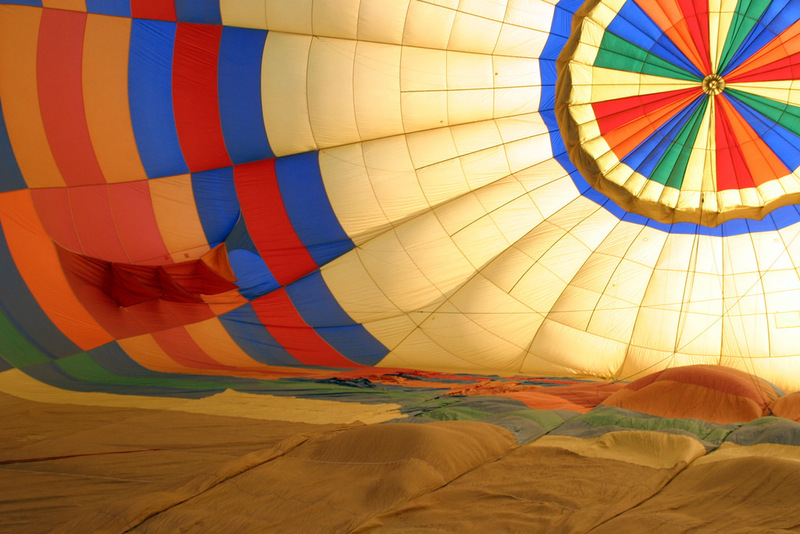 People of pretty much any shape or size can go on a balloon ride. The balloons we were on had little pods that we fit into. 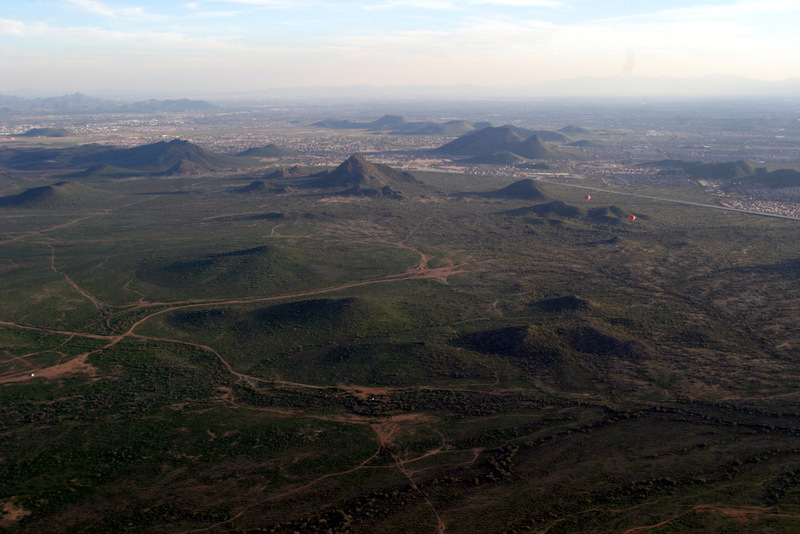 I think there were between 8 and 12 people on each balloon (two balloons launched as part of our group). 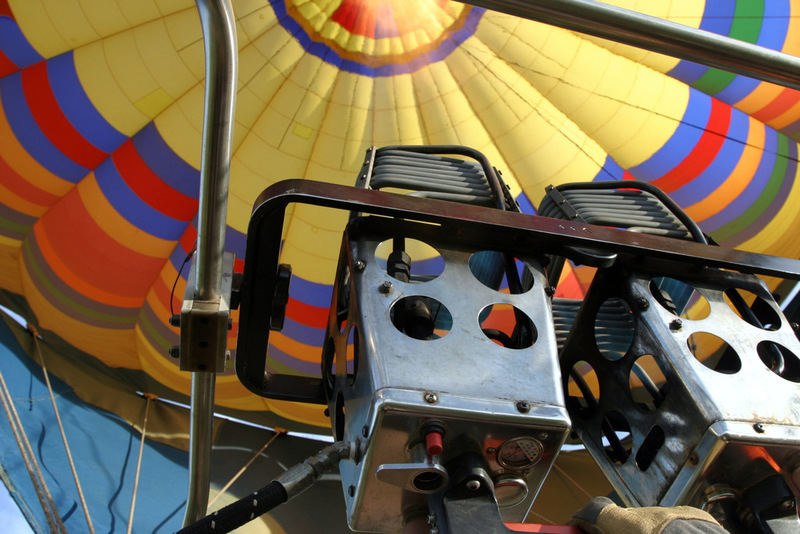 They hold quite a number of people on each balloon, and the ride is quite comfortable. We were able to stand up easily the entire time, and I never felt in any danger. Would I recommend it? Absolutely! It’s one of the coolest day trips I have done in Arizona, and most certainly unique. 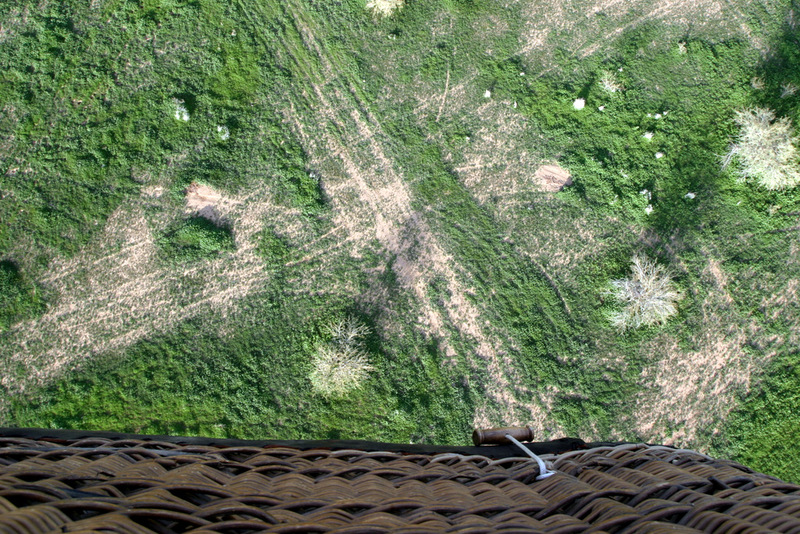 The landing was actually pretty easy, and I’ll tell you that for the first time this is fun to experience. 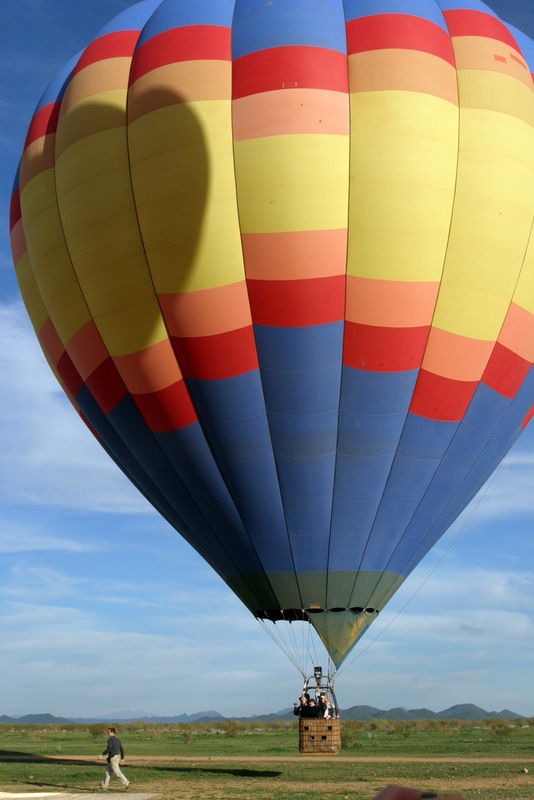 As our balloonist navigated (as best he could) to his chosen landing spot, he told us what we could expect. Apparently in some cases the balloon can tip over. He indicated that if that happens to just hold on tight. Thankfully, that doesn’t happen very often. 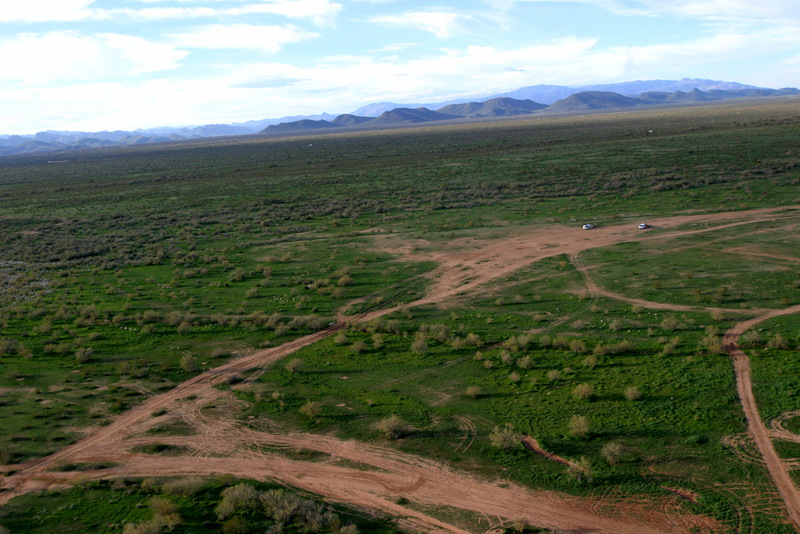 When we landed, we moved across the ground for a little ways. Sort of a touch-and-go experience. 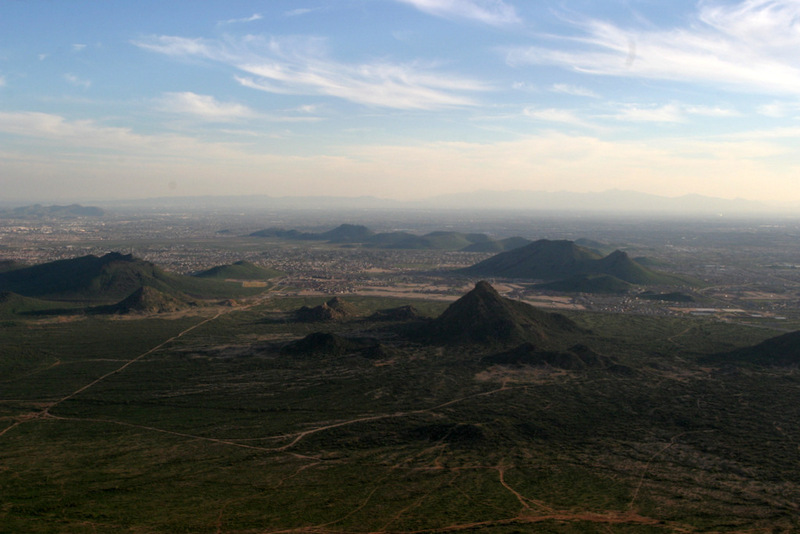 Their were not any saguaro’s in this area, but there were a few ground level cactus, but we didn’t hit any of them. 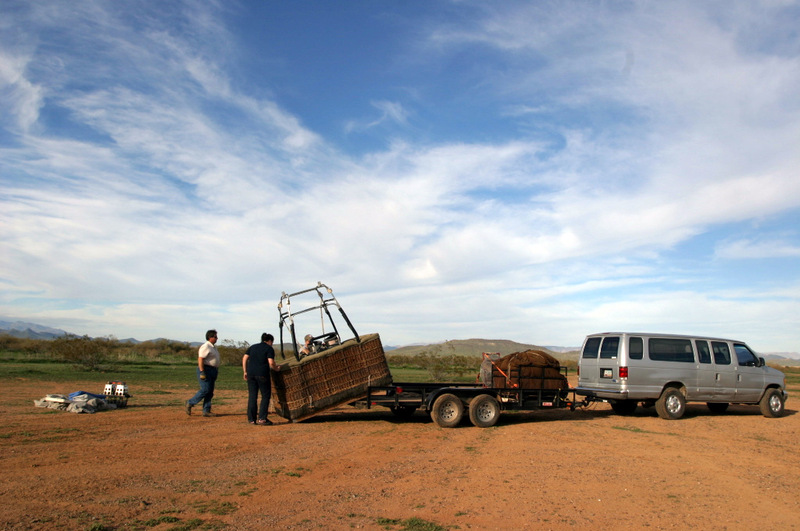 The pilot essentially got us stopped by reducing the heat in the balloon, thus reducing our lift. The weight of the basket and passengers kept us in place. A crew member who had been following us in the van quickly came over and jumped on the side to add extra weight. Then, they tie the basket to the back of the van. 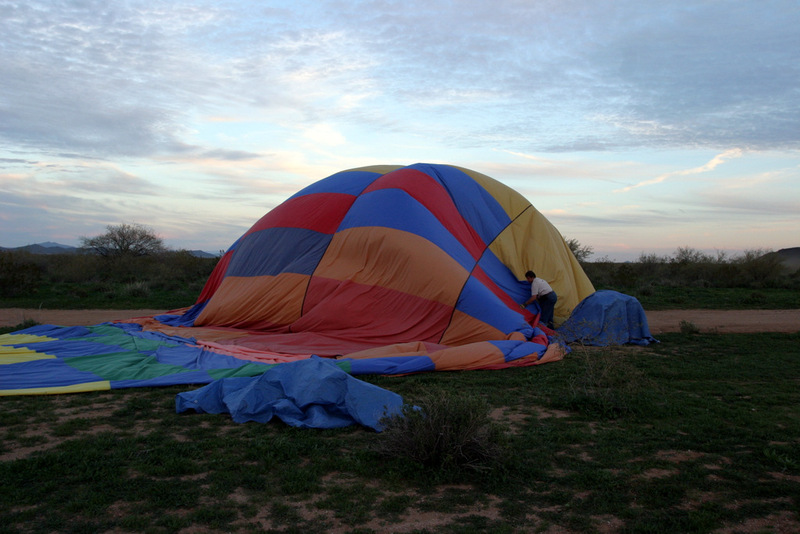 The balloon deflates pretty fast, and the crewmembers throw blankets over any trees or sharp objects (like cactus) on the ground. 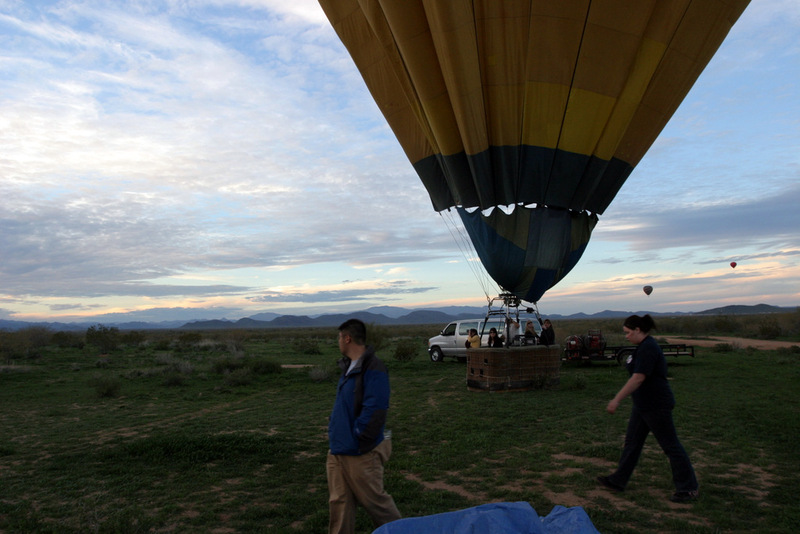 The balloon is carefully folded up while the crew has some champaign. This is apparently tradition. We watched the sunset while drinking our champaign, and then the vans took us back to our cars. 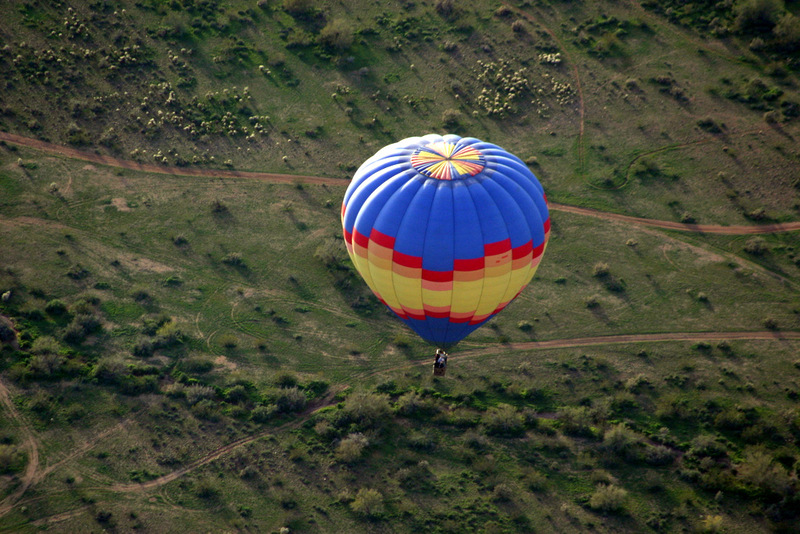 I highly recommend going on a balloon ride some time in your life. I’m planning to take my wife and family some day soon. Here’s a photo of the flame throwers. These are hot, and awesome to watch! 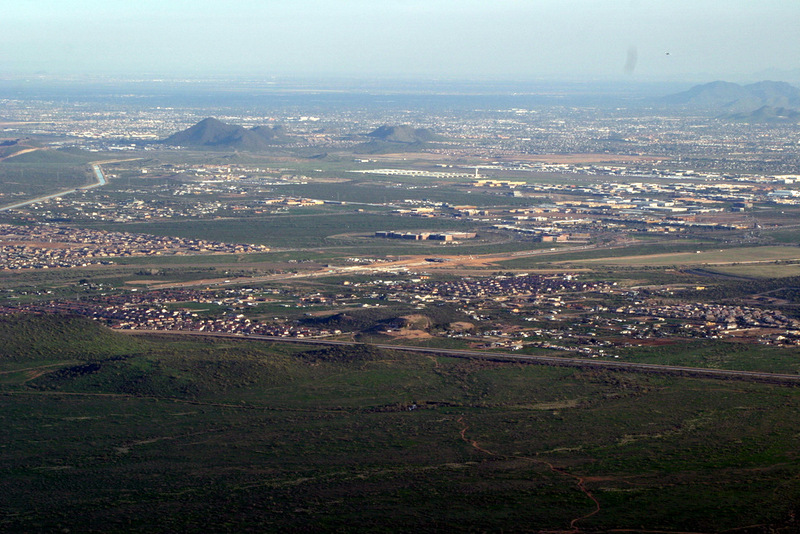 There were amazing views of the whole north valley! We went about a mile high. 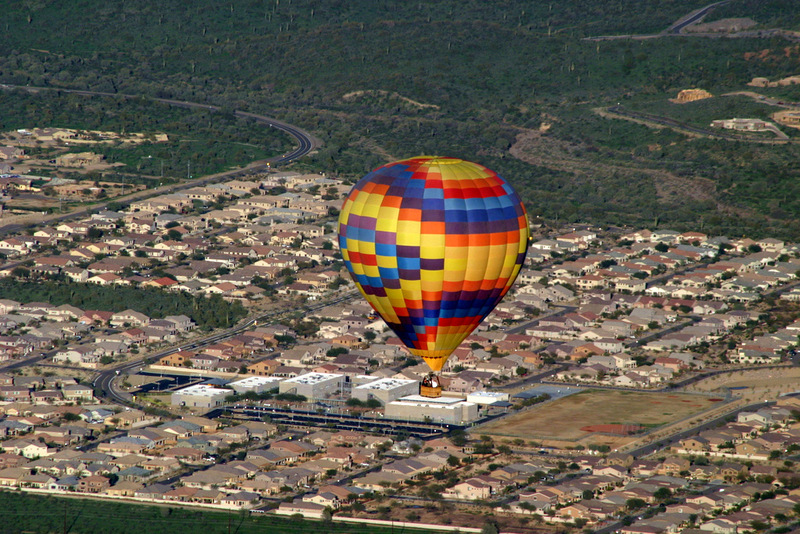 The other balloon in our group was over a neighborhood for a little bit. This is about as close as we got to another balloon. 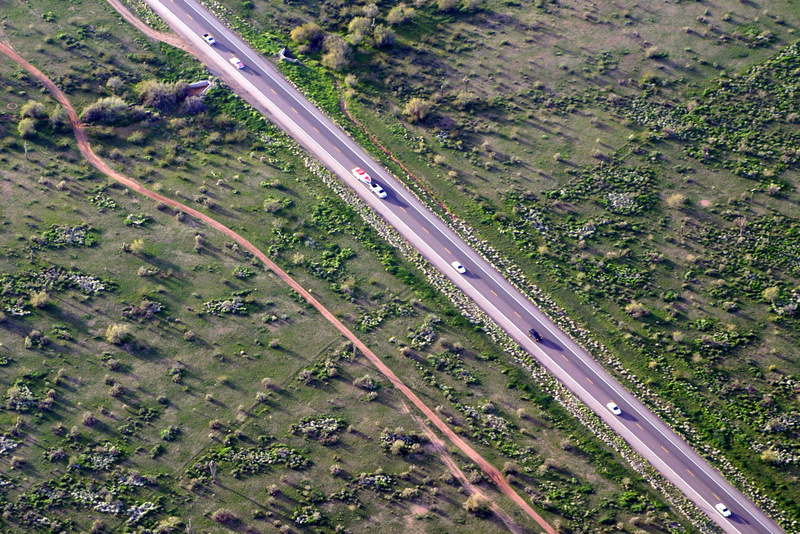 A view of the Carefree Highway from above. Sunset came quickly. 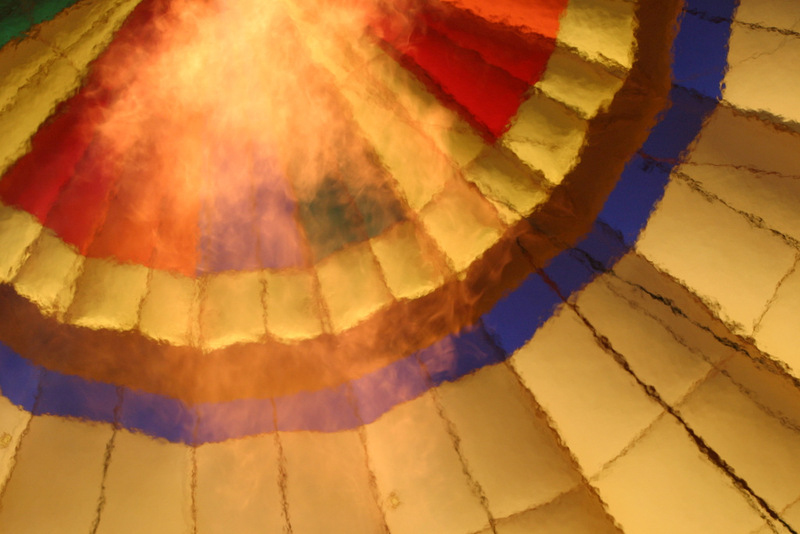 Captured this shot as the burner was going on the other balloon. Long shadows made for great photos. On the ground again after our flight, we watched the crew pack up the balloon. Good times! 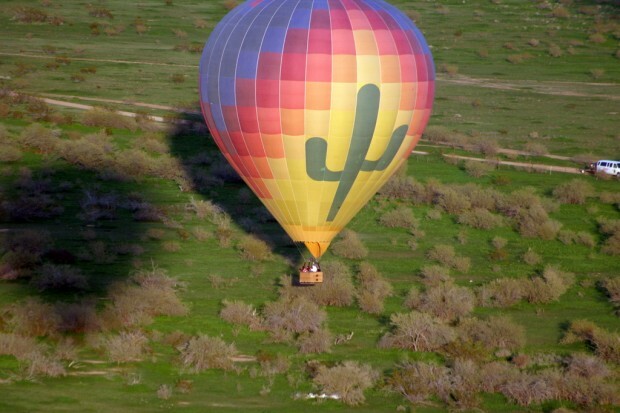 I highly recommend a ballon ride! Hi, I want to know if you are available for november 29th. and how much is the ride.